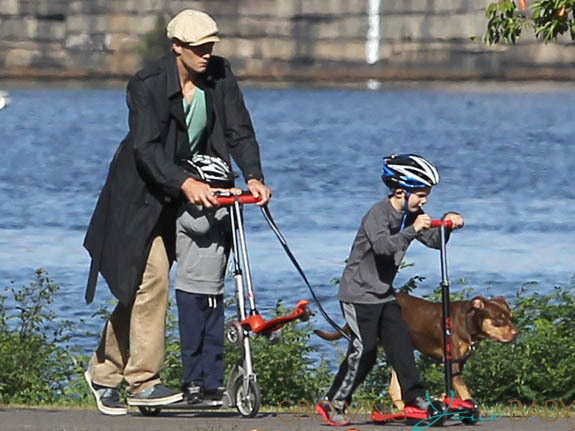 When asked in a recent interview what his favorite activity to do with the kids was Tom said..
And it shows! The trio were all smiles as they played on the gym and climbers. 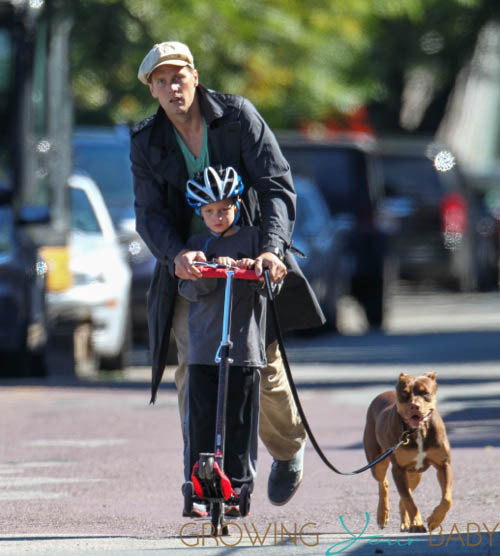 The quarterback rode his scooter to the park with son Benjamin riding shotgun and dog Lua by his side. On the way home Tom switched it up and rode tandem with John, while Ben followed behind.